Home > Special Offers > Service & Parts > Get a Steel Winter Tire Package for $950! Get a Steel Winter Tire Package for $950! Get a 15" Steel Winter Tire package for $950! 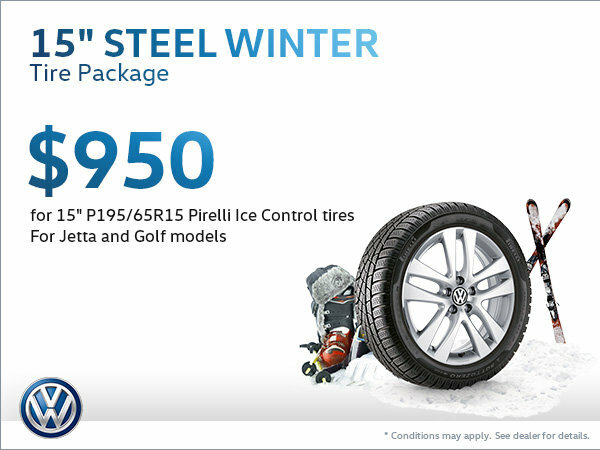 These Pirelli Ice Control tires are designed to fit the Volkswagen Jetta and Golf models.